An unidentified 26-year old man fell to his death before dawn Tuesday morning while attempting to climb the historic Philadelphia Masonic Temple. 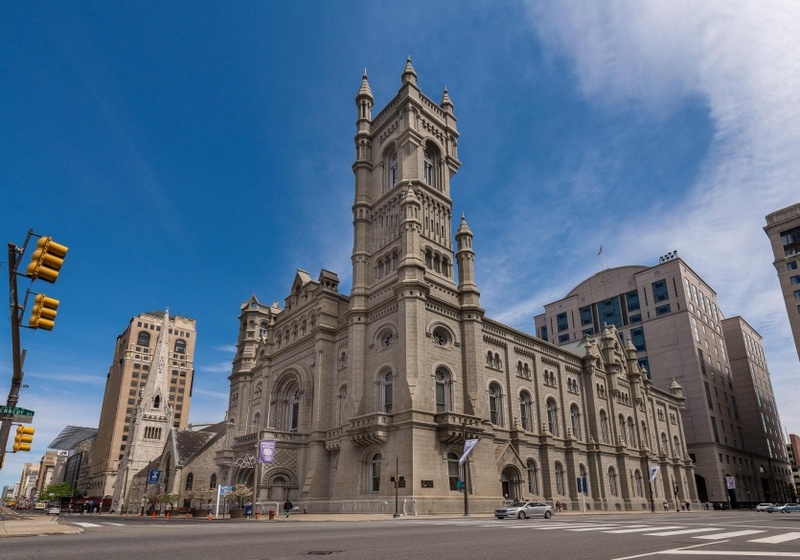 A 26-year-old man fell to his death early Tuesday while climbing the Masonic Temple in the shadow of City Hall, police said. The man was found about 2:40 a.m. by officers responding to a call for an injured person on Juniper Street near Filbert Street. After reviewing surveillance video from the nearby Stout Center for Criminal Justice, police determined that the man fell while climbing the landmark building, CBS3 reported. Officer Tanya Little, a police spokesperson, said it was not known from what height the man fell or whether the fall was accidental. The man’s name was not immediately released. The investigation is continuing, police said. The CBS affiliate Channel 3 had a live video report Tuesday morning HERE. 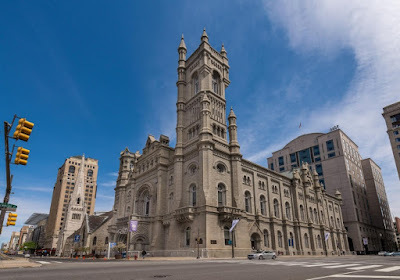 The 1873 Temple in downtown Philadelphia is the statewide headquarters for the Grand Lodge of Pennsylvania, their library and museum, and home to more than two dozen lodges and appendant groups.